Facebook’s Mark Zuckerberg immediately charactarised it as a Facebook-inspired mini-me. There’s some truth in what he says. 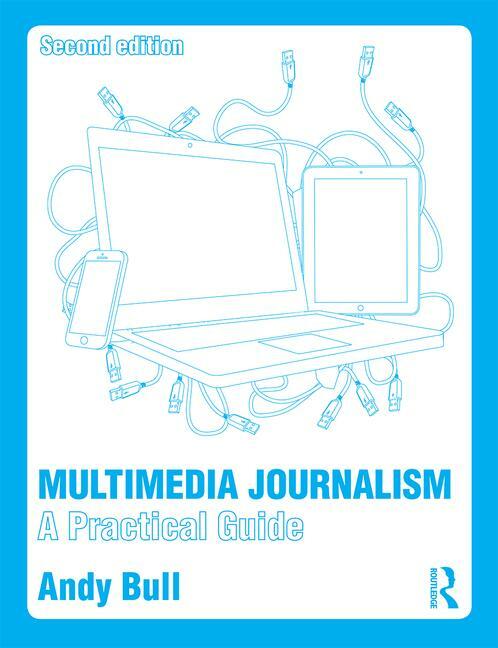 But what we need to decide is whether Google+ pages enhance the platform for journalism. 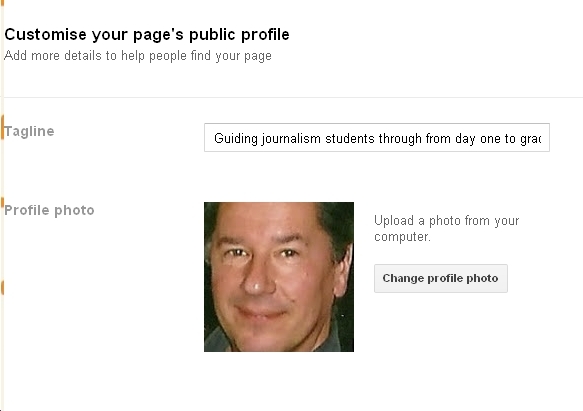 It’s dead easy to set up a Google+ page for your journalism. So what’s to lose? If the platform tanks, you wasted 15 minutes. If it succeeds – and I think it has to – you are in at the start of a great new social mechanism. 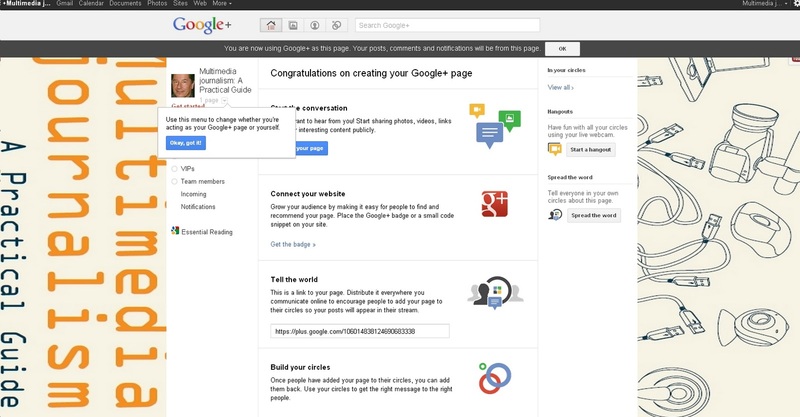 So here is a step-by-step guide to creating your Google+ page. 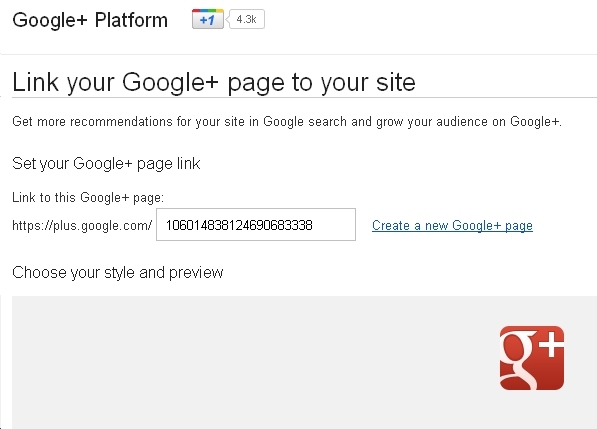 Here you can add information, promote and switch between using Google+ as yourself or as your page. 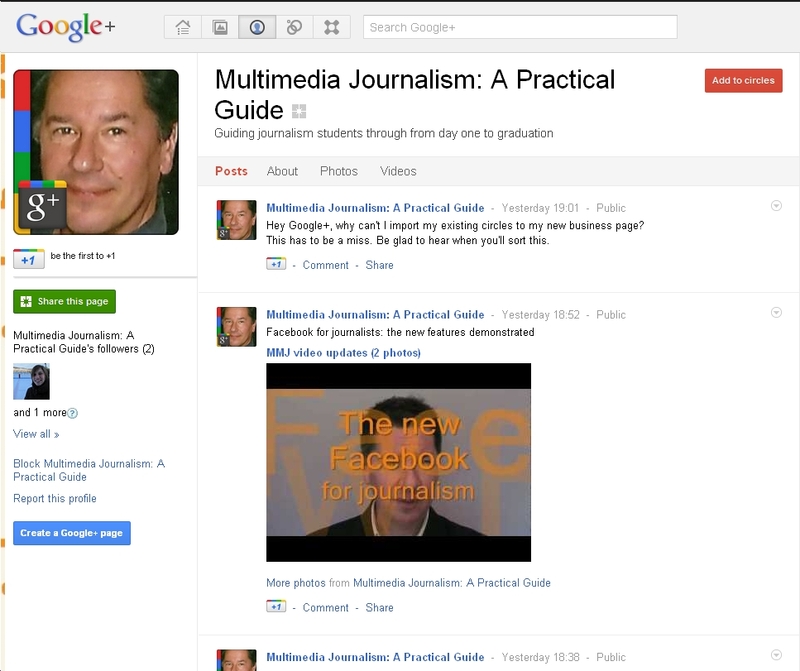 One thing to make clear: you now have two ways of using Google+ - as yourself or as your page - just as with Facebook you have your news feed and your page. 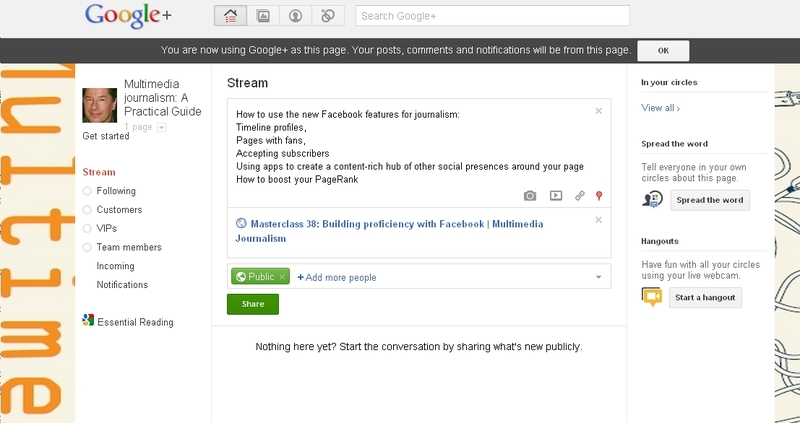 If you followed Masterclass 38 on building proficiency with Facebook, all of this will feel very familiar. 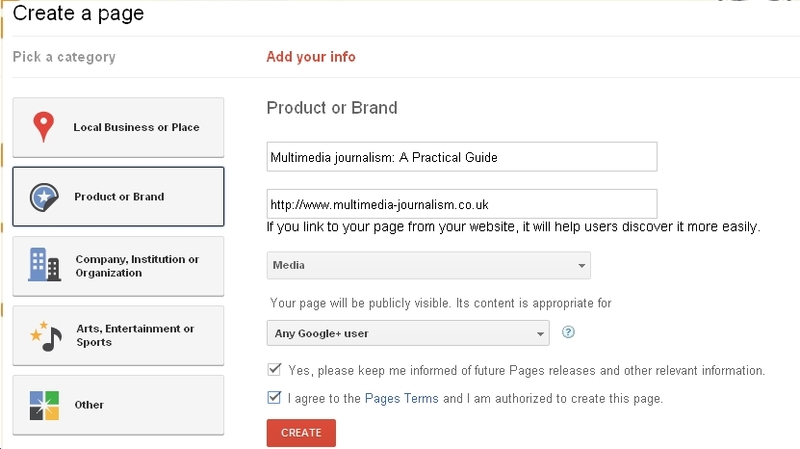 On the right is Share the word, .. where you can tell everyone in your circles about your new page. 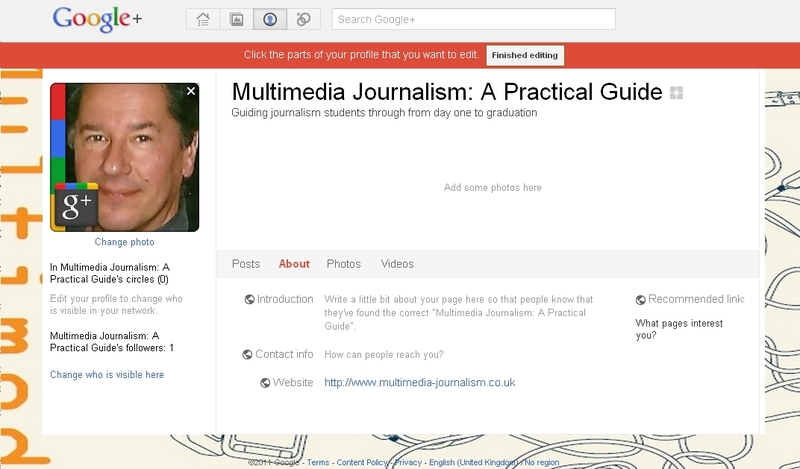 You can add text about what you do, photos and videos. 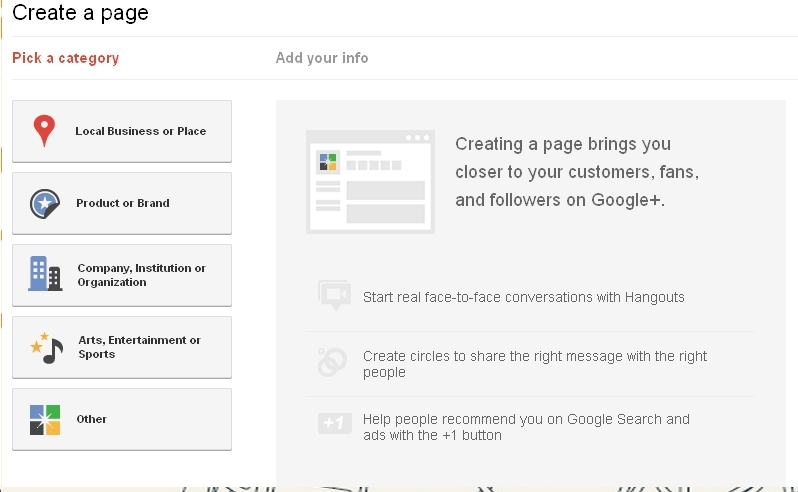 One frustration is that you don’t automatically have your existing circles added to your new page. This is such a miss that it must be sorted very soon. I’ll update here when it is. 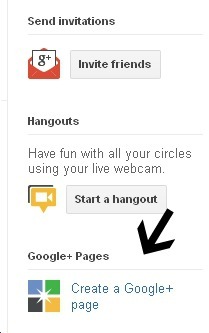 Another is that using Google+ as yourself, and as you page, feel like entirely separate entities. Again, I'm sure sharing posts between the two will quickly be made easier, and I'll update here when it does.